She said her priorities include getting WPP’s agencies to work "in a more joined-up and collaborative way", developing new products and "managing and diversifying the talent base". Blackett maintained that WPP, the dominant agency group in UK advertising with close to 40% of the agency market, has "headroom" to grow further organically and she identified "high-growth" and e-commerce clients as sectors where "we don’t have a big enough market share". She said: "If you look at the top 100 global brands, then we're doing pretty well. But if you look at another metric like 'high-growth' businesses, we could be doing a lot better." Sir Martin Sorrell, the chief executive of WPP, described Blackett as "an exceptional and inspirational leader" and "a tireless champion of diversity in our business, in the wider sector and in public life in general". He said in a memo to staff: "Karen will focus on our core strategic priority of horizontality: ensuring our companies work together effectively and present a seamlessly integrated and simplified offer to clients. "She will also support efforts to attract and retain the best and most diverse talent, generate cross-group business opportunities and identify potential acquisitions and investments." Blackett, whose parents grew up in Barbados before moving to Britain, was named the "most admired" business leader in the UK ad industry in a survey of agencies for Campaign’s 2017 School Reports. She acknowledged that her promotion to WPP country manager has symbolic importance because she is black, female and "from a working-class background". She said: "The ad industry is not diverse enough. It doesn’t reflect the consumer base that our clients are targeting." 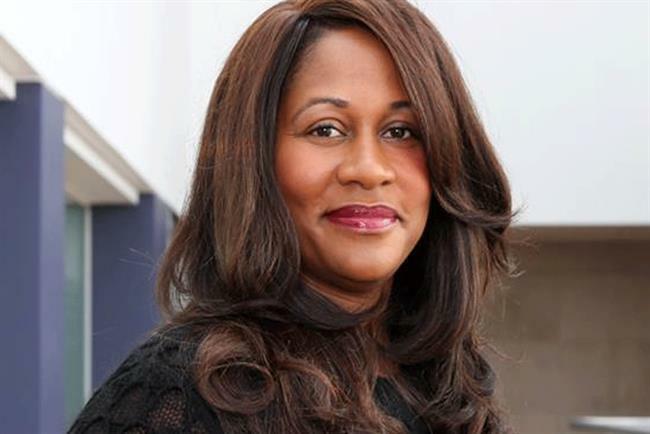 Blackett hopes to apply some of the lessons that she learnt at MediaCom, Britain's biggest media agency, and its predecessor The Media Business, where she started in 1995, after spells at CIA and Zenith. "When you get diversity of thought, you get better answers," she said. "It’s the route to creativity." Blackett, who was UK chief executive of MediaCom from 2011 to 2015, sees parallels between her new role as WPP country manager and her past job as MediaCom's chief operating officer for EMEA when she worked with "a group of incredibly talented CEOs" from different countries to collaborate more effectively. "I don’t think it’s about ‘command and control’ – that’s never been my style," she said. "It’s really about championing and collaborating and influencing." The CEOs of the different UK agencies will keep what Blackett described as a "solid" reporting line to their respective global or regional agency CEO – rather than reporting to her. She added that there are no plans for WPP to have a single P&L for the UK "at this moment of time", explaining: "My role is to create a UK team across the UK operating companies and make them work better." Blackett, who has only worked in media agencies, knows most of the leaders of WPP’s ad agencies but said "I need to know better" the UK agency CEOs in other areas such as branding, digital and PR. She said there is "an opportunity to avoid duplication of effort" but insisted: "I don’t think it’s about cutting costs. Yes, there are synergies that can happen but let’s think about creativity and growth." Blackett added WPP has "talked about horizontality for three or four years" and it needs to become "a strategy" that is embedded in the way the company does business, rather than just because "a client demands it". According to WPP's latest annual report, for 2016, it had £1.9bn in UK revenues and 14,000 staff.